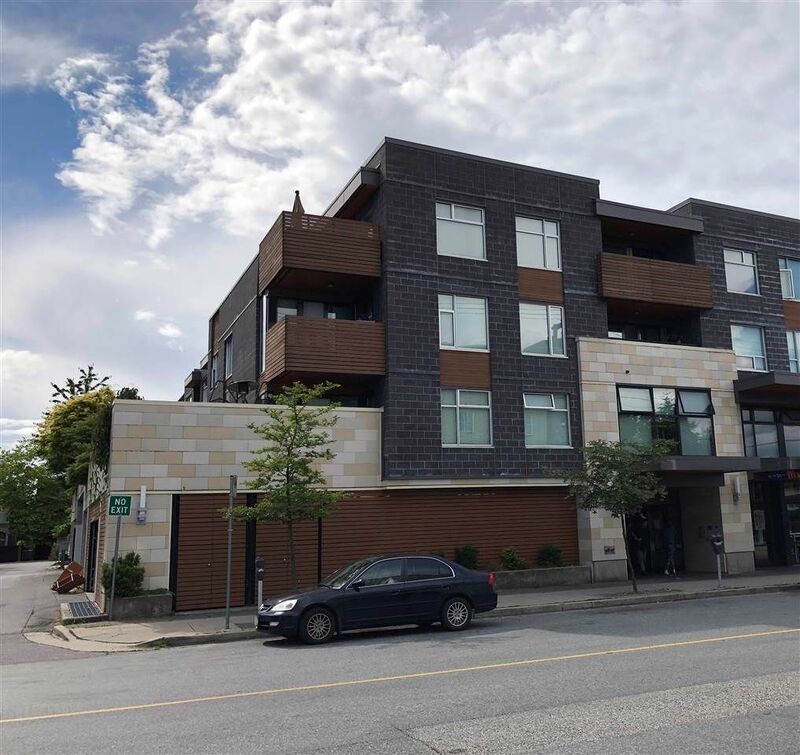 I have sold a property at 404 2525 BLENHEIM ST in Vancouver. Top Floor corner view unit in "The Mack". Enjoy mountain views from this 1 bedroom and large den unit. Open plan concept with glass den makes this unit bright and spacious. Gourmet kitchen with stainless steel appliances and 2 underground parking stalls, insuite laundry....close to the shops, restaurants and boutiques! Close to Kits beach and Jericho! Please visit our Open House at 404 2525 BLENHEIM ST in Vancouver. Top Floor view unit in "The Mack". Enjoy mountain views from this 1 bedroom and large den unit. Open plan concept with glass den makes this unit bright and spacious. Gourmet kitchen with stainless steel appliances and 2 underground parking stalls, insuite laundry....close to the shops, restaurants and boutiques! Close to Kits beach and Jericho! I have listed a new property at 404 2525 BLENHEIM ST in Vancouver. I have sold a property at 12662 28 AVE in Surrey. This exquisitely unique Mediterranean home exemplifies charm, character and top quality custom finishes throughout. You will love entertaining family and friends in the chef's open kitchen with oversized prep island, Wolfe gas cooktop, s/s appliances, pull out refridgeration drawers, separate ice maker, latte machine and much more! Vaulted ceilings; fabulous River Rock wood burning fireplace in living room is stunning but cozy on those rainy evenings....Outside is a private yard with decks for lounging and entertaining; manicured gardens, green house and sports court. Add'l features/updates include custom window treatments, beautiful hardwood floors, fully wired security/sound system and for "peace of mind" a backup generator! I have sold a property at 1571 CHESTNUT ST in White Rock. Adorable, cozy and private, this home is ready to move into, ideal for an empty nester (or?) who's not quite ready for apartment living.. Private, level, western exposed lot (60'X147') with lane in sunny White Rock, enchanting garden, Koi pond and loads of patio space for outdoor entertaining. Oak floors, recently updated bathroom, new roof (2 yrs old), thermal windows, custom blinds thru out. Worry free, live in and enjoy, plan for the future, build your dream home. Steps to Ray Shepherd Elementary and Semiahmoo Secondary School catchment. Excellent shopping within 10 minutes, Crescent and White Rock Beaches are just a few minutes away. Outstanding recreation surrounds you! Don't miss out. This home will not last! Please visit our Open House at 1571 CHESTNUT ST in White Rock. I have listed a new property at 1571 CHESTNUT ST in White Rock. Please visit our Open House at 12662 28 AVE in Surrey. This exquisitely unique Mediterranean home exemplifies charm, character and top quality custom finishes throughout. You will love entertaining family and friends in the chef's open kitchen with oversized prep island, Wolfe gas cooktop, s/s appliances, pull out refridgeration drawers, separate ice maker, latte machine and much more! Vaulted ceilings; fabulous River Rock wood burning fireplace in living room is stunning but cozy on those rainy evenings....Outside is a private yard with decks for lounging and entertaining; manicured gardens, green house and sports court. Add'l features/updates include custom window treatments, beautiful hardwood floors, fully wired security/sound system and for "peace of mind" a backup generator! OPEN HOUSE SUNDAY SEPT. 24; 1:00 - 3:00 PM. I have listed a new property at 12662 28 AVE in Surrey. I have sold a property at 963 8 AVE W in Vancouver. A PICTURE PERFECT CHARACTER HOME; fully modernized in 2009, kitchen, bathrooms, electrical, flooring and heating...all with quality in mind. Nestled in a great central location in Fairview Slopes, this home has grand spectacular views of the city, inlet and North Shore mountains. And don't be concerned about parking, there's room for 2 cars. There is really nothing to do here, this gem is move in ready! I have sold a property at 9951 SEACOTE RD in Richmond. Super investment home on an oversized 8700+/- sq.ft. lot with a private, secure gated back yard. On demand hot water, new roof 2015, updated kitchen with stainless steel appliances. Minutes from shopping, theatres, schools and parks. Quick access to highway; Vancouver and White Rock! I have listed a new property at 9951 SEACOTE RD in Richmond. I have listed a new property at 963 8 AVE W in Vancouver.